TV-Recaps-Reviews: Saturday Cable Ratings - 'Doctor Who,' 'Cops,' 'Attack on Titan,' 'Hell on Wheels,' 'Intruders,' 'Outlander,' 'Bleach' & More! 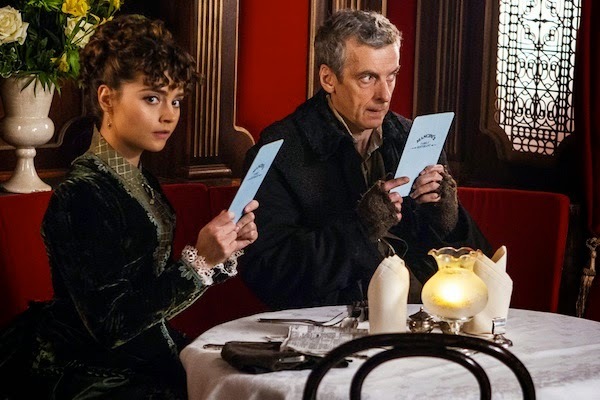 Saturday Cable Ratings - 'Doctor Who,' 'Cops,' 'Attack on Titan,' 'Hell on Wheels,' 'Intruders,' 'Outlander,' 'Bleach' & More! On August 23, 2014, BBC America's Doctor Who was the highest rated show on cable with a 0.85 - followed by Spike's Cops (0.6), Adult Swim's Attack on Titan (0.5) & Adult Swim's Bleach (0.5). Doctor Who was the most viewed program with 2.189 million viewers - followed by AMC's Hell on Wheels (2.075), Cops (1.579) & Attack on Titan (1.250). No rating information was made immediately available for Animal Planet's Too Cute! & Bad Dog; CMT's Dog and Beth: On the Hunt; FYI's Epic Meal Empire; Hallmark's Cedar Cove; HGTV's House Hunters Renovation; ID's Deadly Affairs & Murder in Paradise; Lifetime's PopFan; and Travel's The Dead Files.